In 1971, a military analyst named Daniel Ellsberg leaked the so-called “Pentagon Papers” to Neil Sheehan of the New York Times, and permanently changed how this country understood the Vietnam War. These classified documents proved not only that the Johnson administration understood that the war was a lost cause, and continued fighting anyway, but that they lied to the American people and even Congress. A manhunt for Ellsberg ensued, and while he was on the run from the FBI for 13 days, Ellsberg leaked the papers to 18 other newspapers, including the Washington Post. Finally, the Supreme Court ruled that the Times could publish the documents, and in 1973 all charges against Ellsberg were dismissed. As Newsweek goes on to point out, leaking could have serious consequences, and the precedent set by Julian Assange’s arrest, and the re-imprisonment of Chelsea Manning, will surely give any potential leakers pause. 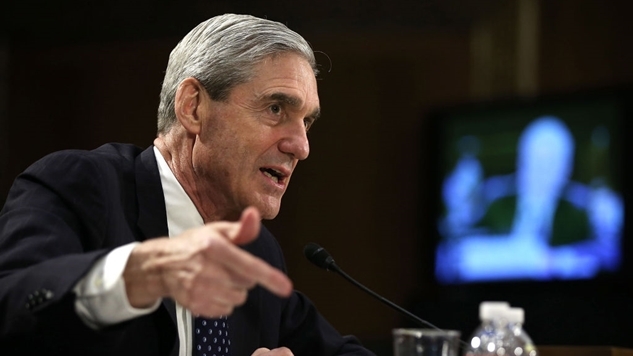 But if Attorney General Barr and the DOJ release a report on Thursday morning that’s so full of redactions it essentially becomes useless, Ellsberg’s advice may be right—leaking may be the only answer. In the meantime, several outlets have filed FOIA requests for the full report, along with several free press groups and some members of Congress.